In Memoriam: Dr. Maurice F. Rabb, Jr. This theme song medley was played at the very end of our family's tribute to Dr. Rabb. It was inspired by many of his favorite television shows over the years, and the edgy, unorthodox idea itself was conceived of by Madeline Murphy Rabb. After all, who else would be so creative and irreverent to include The Sopranos opening song in a memorial service? Though a well respected physician, researcher and academic, he was an avid TV-watcher -- a hobby that became a family tradition -- particularly among the Rabb men. TV-watching -- along with movie-going and gadget fanaticism -- was a male-bonding experience in the Rabb home. Anywyay, enjoy the above medley produced by our cousin and highly talented musician and music producer, Joshua Murphy. This is where the Rabb family encourages anyone who wishes to leave condolences, remembrances and recollections of the late Dr. Rabb. Also, to download a digital copy of the program, click here. Shortly after midnight Monday, June 6th, Dr. Maurice F. Rabb, Jr. succumbed to cancer. He died at home surrounded by his loving wife and two sons. He survived one day past his 39th wedding anniversary, a milestone he purposely achieved by sheer will power and undying love for his wife, partner and muse, Madeline Murphy Rabb. This memorial website includes Dr. Rabb's full obituary, funeral arrangements, select photos, and an area for loved ones and colleagues to share their condolences. Already this section of the site abounds with scores of wonderful stories and fond remembrances from Dr. Rabb's family, friends and fans. This site will be updated repeatedly over the coming weeks, and we encourage you to check back periodically for more information, photographs, etc. 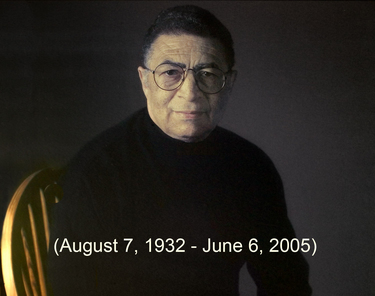 Click here to read the complete Afro-American Newspapers obituary. In addition to work in his two professional homes, Dr. Rabb made significant contributions through other entities. Dr. Rabb traveled the globe for 40 years, giving academic lectures at medical conferences as an expert on corneal disease and retinopathy. 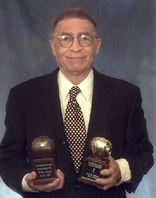 Throughout the years, he received a host of other honors and appointments related to his groundbreaking work in his field. Despite such a full and demanding career, Dr. Rabb remained throughout his life a dedicated family man, avid photographer, world traveler, cinephile and devout gadgeteer. His humor, humility, love and kindness affected all who were part of his life. Click here to read the complete Tribune obituary. Dr. Rabb, 72, died of cancer Monday, June 6, in his Gold Coast home, with his wife by his side, one day after their 39th wedding anniversary. Born in Shelbyville, Ky., Dr. Rabb was the only child of Dr. Maurice F. Rabb Sr., an anesthesiologist, and Jewel Miller Rabb, a teacher. Blacks were banned from attending the University of Louisville, so Dr. Rabb spent the first two years of college at Indiana University in Bloomington, before transferring to Louisville after the university was desegregated. He earned a biology degree and graduated from the university's medical school in 1958. 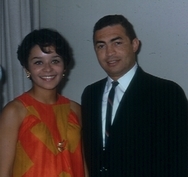 Dr. Rabb completed his ophthalmology residency at the University of Illinois at Chicago and became the first African-American chief resident there in 1963. His affiliation with UIC lasted 43 years, from resident to full professor of medicine. Click here to read the complete Sun-Times obituary. Dr. Maurice F. Rabb Jr., the first African-American ophthalmology resident at the University of Illinois Hospital and the first black president of Mercy Hospital's medical staff, died Monday at his Gold Coast home from complications related to lung cancer. He was 72. He gained international recognition as a leading ophthalmologist. The only child of an anesthesiologist and math teacher, Dr. Rabb initially dreamed of becoming a photographer. But when he realized a career in the arts might not afford him the lifestyle he was accustomed to, he chose the profession his parents wanted him to pursue without compromising his appreciation for all things visual. 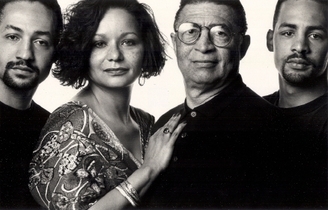 Dr. Maurice F. Rabb, Jr. was born in Shelbyville, Kentucky on August 7, 1932 to Dr. Maurice F. Rabb, Sr., a family practitioner and civil rights activist, and Mrs. Jewel Miller Rabb, fellow activist and math teacher, of Columbus, Mississippi and Louisville, Kentucky, respectively. The Rabbs lived a comfortable life in Shelbyville until a fire destroyed their home and the family relocated to Louisville, where the senior Rabb entered an anesthesiology residency. Dr. Maurice F. Rabb, Sr. became the first Black anesthesiology resident at the University of Louisville, and went on to become the first Black physician in Kentucky to join the staff of a white hospital, as an anesthesiologist for Jewish Hospital. Jewel Rabb had a 30-plus year career teaching in Kentucky public schools, and holds a master's degree in Mathematics and still resides in her native Louisville at age 96. It was evident early on that Maurice, Jr. would also be a trailblazer. At the tender age of 14, he and a fellow Black young man represented the region comprising the states of Ohio, Michigan and Kentucky at the Boy Scout World Jamboree in Paris, France. The next year he traveled independently across the country by train, visiting Los Angeles, Tijuana (Mexico), San Francisco, Seattle and Minneapolis. These trips ushered in a life-long wanderlust and passion for travel and photography. However, in his adult life his journeys would not only be physical, but intellectual and professional as well. At the age of 16 Maurice F. Rabb, Jr. graduated from Central Colored High School where his mother was a member of the faculty. He then matriculated at the University of Indiana in Bloomington because his home institution, the University of Louisville, remained segregated. 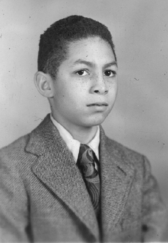 After two years, he returned to Kentucky, when the University of Louisville was desegregated, and became one of the first African Americans admitted to the College of Arts and Sciences where he earned a baccalaureate degree in Biology. Dr. Rabb went on to attend medical school at the University of Louisville School of Medicine, and graduated in 1958. He completed his medical internship at Kings County Hospital in Brooklyn, NY, and studied basic ophthalmology at New York University. He went on to do his ophthalmology residency at the University of Illinois at Chicago, having received high recommendation from the chairman of ophthalmology at New York University. At the University of Illinois, Dr. Rabb served as chief resident in 1963. Dr. Rabb was the first African-American resident and chief resident at the institution. In the summer of 1964 in Chicago, Dr. Rabb met his wife-to-be, the artist Madeline Wheeler Murphy of Baltimore, Maryland, daughter of Judge William H. Murphy and Madeline Wheeler Murphy. The two wed in 1966, and their union was blessed with two sons, Maurice III and Christopher Murphy Rabb. Dr. Rabb embarked upon an illustrious career in the field of ophthalmology. He had long and distinguished professional relationships with two Chicago institutions: the University of Illinois at Chicago, and Mercy Hospital. From these platforms he built an international reputation as an ophthalmologist specializing in retinal diseases and a physician-leader. His affiliation with the University of Illinois lasted 43 years, from Resident to Full Professor of Medicine. 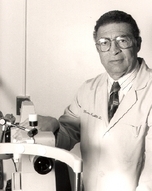 In 1965, Dr. Rabb completed a cornea fellowship at the University of California at San Francisco. He subsequently obtained a grant from the Illinois Society to Prevent Blindness to relocate and medically update the Illinois Eye Bank at the University of Illinois, where he had joined the faculty. Dr. Rabb served as the medical director of its eye bank from 1972 to 1987, becoming the first African American physician to be a medical director of an eye bank in the United States. In 1977 he became the first black ophthalmologist to become a tenured, full professor of clinical ophthalmology at a predominantly white institution. In addition to serving on the faculty, he held a number of leadership positions at the University. In 1984 he was appointed the interim associate vice- chancellor of Urban health, and served as acting associate chancellor from 1985 to 1987. From 1995 to 2005 he served as the director of medical student education in ophthalmology. And in 2001 he received a special recognition award from the University of Illinois College of Medicine for his extraordinary contribution to the institution. Collaborating with UIC colleague Dr. George Honig, Dr. Rabb obtained a competitive grant from the National Institutes of Health to found and fund the Comprehensive Sickle Cell Center at the University of Illinois in 1972. This was one of the first and most successful centers for sickle cell anemia research and patient care in the world, and held the largest single grant awarded at the University of Illinois at the time. At its founding, and for years thereafter, this was the only center in the United States to diagnose and treat sickle cell eye disease. Dr. Rabb’s landmark research on sickle cell and the eyes made it possible to prevent retinal detachment and blindness in sickle cell patients. Dr. Rabb was director of the Comprehensive Sickle Cell Center for 16 years, and accumulated more than $16 million of direct support during his tenure. In addition to being a leading researcher, Dr. Rabb was a highly regarded professor. In the 2001-2002 academic year he was named "Teacher of the Year" for excellence and dedication to teaching from the Chicago Curriculum in Ophthamology, an award granted by residents throughout the city of Chicago. As well, Dr. Rabb was granted the Golden Apple Award for excellence in teaching, in 2002, 2004, and 2005. The recipient of this honor is selected by senior medical students at the University of Illinois at Chicago College of Medicine. Dr. Rabb also left an inspiring legacy through his work at Mercy Hospital in Chicago, where he joined the staff in 1967. He served as the chair of Ophthamalogy from 1971 to 2005, and through his tenacity commitment and expertise he brought Ophthalmology to established and permanent departmental status at Mercy in 1990. He is remembered at Mercy as a man who was able to generate commitment and dedication among his peers. His numerous leadership positions at Mercy attest to this. He was the president of the Medical staff and a member of the Board of Directors from 2001 to 2003. Dr. Rabb was also a member of the Mercy Foundation Board from 1995 to 2005. In addition to work in his two professional homes, Dr. Rabb made significant contributions through other entities. Dr. Rabb traveled the globe for forty years, giving academic lectures at medical conferences as an expert on corneal disease and retinopathy. Dr. Rabb excelled at stereofundus photography and pioneered in bringing intravenous fluorescein angiography, a diagnostic procedure using special cameras to photograph the retina, to five Chicago hospitals. In 1972, Dr. Rabb was appointed to the ophthalmic advisory committee of the Food and Drug Administration (FDA). In 1973 he was appointed as an ophthalmic consultant to the Center for Disease Control (CDC) to investigate the infamous Tuskegee Syphilis Study, one of the worst episodes of racism in medical history. In 1974, he became the first African American to co-author a textbook on ophthalmology, with the publication of Clinicopathologic Correlation of Ocular Disease with Dr. David Apple, which is currently in its fifth edition (Apple and Rabb 1998). He is also the author of another definitive textbook, Macular Disease (Rabb 1981). Additionally, Dr. Rabb is the author of numerous scholarly articles (Rabb 1970, Rabb 1972, Rabb et al 1978, Jampol & Rabb 1981, Rabb, Mullen, Yelchits et al 1998; Rabb et al 1990; Rabb, Gagliano & Teske 1998). Dr. Rabb was recognized by many of the most prominent medical organizations in the nation and world. In 1985 Dr. Rabb was appointed to the National Advisory Council of the National Eye Institution of the National Institutes of Health (NIH). Dr. Rabb was selected in 1999 to serve on the NIH Director’s Committee of Public Representatives, a committee which helps set NIH research priorities. Additionally, Dr. Rabb was the first African American to receive the distinguished Honor Award and also a Senior Honor Award from the American Academy of Ophthalmology, respectively conveyed in 1977 and 1994. Dr. Rabb is remembered across the country and world for his commitment to expanding opportunity for physicians from underrepresented communities and nations. Dr. Rabb was a dedicated member of the National Medical Association (NMA) for 40 years, the national 110-year old organization dedicated to the interests of Black physicians. In 1973, Dr. Rabb organized the most successful pre-convention seminar of all medical specialty sections in the history of the NMA at the NMA meeting in New York City. Dr. Rabb was responsible for elevating and establishing an academic standard that has become the model for the NMA annual meetings. Dr. Rabb also introduced a renewed commitment to sharing medical research, in large part in order to provide younger physicians with an opportunity to present their work and to receive mentorship. In 2000, the NMA showed its appreciation for this contribution by co-naming a scholarship after his and the late Dr. H. Philip Venable’s commitments to patient care, teaching, and research. Funded by a donation from Merck and Company, the Rabb Venable Ophthalmology Award for Outstanding Research is granted to students and residents for the best research presentations. This is the first academic research award named in honor of an African American ophthalmologist. As an active member of the NMA section of ophthalmology, Dr. Rabb was instrumental in establishing a practice of inviting distinguished ophthalmologists who were not members of the NMA to participate in NMA meetings as guest speakers. Similarly, he was one of the founders of the Roman Barnes Society of the American Academy of Ophthalmology, which brings Black ophthalmologists together who may be unaffiliated with the NMA, and awards scholarships to African American medical students who are interested in careers in ophthalmology. In a sense, he came full circle with this venture. Years prior, while a resident, Dr. Rabb was the first African American to present a scientific exhibit at the American Academy of Ophthalmology meeting in 1962, for which he won third prize. Despite such a full and demanding career, Dr. Rabb remained throughout his life a dedicated family man, an avid photographer, a world traveler, cinephile and devout gadgeteer. His humor, humility, love and kindness affected all who were part of his life. Dr. Rabb, distinguished ophthalmologist, professor, and leader, beloved husband, father, and son, led a life of purpose and dedication. He left a remarkable legacy, and will be profoundly missed. Dr. Rabb is survived by his wife, Mrs. Madeline Murphy Rabb of Chicago, his sons, Maurice F. Rabb III of Chicago, and Christopher Murphy Rabb of Philadelphia, his mother, Jewel M. Rabb of Louisville, Kentucky, his uncle, Louis A. Rabb of Tuskegee, Alabama, a daughter-in-law, Prof. Imani Perry, and a grandson, Freeman Diallo Perry Rabb, of Philadelphia.